Chain link fencing has so many benefits! Weighing different fence materials for your residential or commercial property? Here are some of the numerous uses for chain link fencing that can keep you and your property safe and secure for years to come. Chain link fencing is a natural fit for dog kennels, runs, or any pet containment areas. It also is commonly used for dog parks, to separate play areas for large and small dogs, and in backyards to keep Fido safe. Whether you’re looking for a fence for your home, business, or industrial area, chain link fencing does a great job of securing the site. Depending on the need, different heights of fencing can be used to prevent people or animals from jumping over the fence. Chain link fencing can also have deterrents like barbed wire added on easily. Playgrounds and parks are great places for chain link fences. By installing a chain link fence you can prevent children from wandering off or getting injured chasing a ball into the street or woods. It can also be used to divide up activity areas like baseball diamonds, basketball courts, or soccer fields. Chain link fencing is installed using steel posts that can be easily removed from the ground and wire fencing that can be rolled up to reuse or use at another location. That’s why chain link fencing is so common at industrial and construction sites that need protection without permanence. 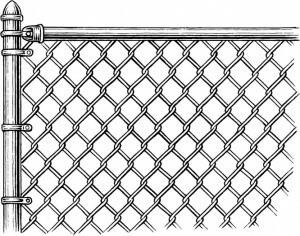 Chain link fencing is made of galvanized steel, a strong material that can hold up for years. The wire itself is woven together in an interlocking pattern that allows it to withstand hurricane and gale force winds without blowing over like other fence materials. The galvanized steel can be coated or painted to help prevent corrosion, rusting, and other types of damage from rain, ice, and snow, and sun. Chain link fencing takes less time and skill to install properly when compared to other fence materials. As a result, it is less expensive to install than a brick or wood fence. The base cost of materials for chain link fencing is also less expensive than other options. Chain link fencing can become damaged over time from excessive wear and tear, accidents, or vandalism. Unlike other fences that need to be replaced in large sections or as a whole, chain link fencing is easy to cut out and replace by the area. New fencing will blend right in and can be painted or coated, if necessary, to match the existing fence. Galvanized steel is very easy to preserve, as it requires virtually no maintenance. 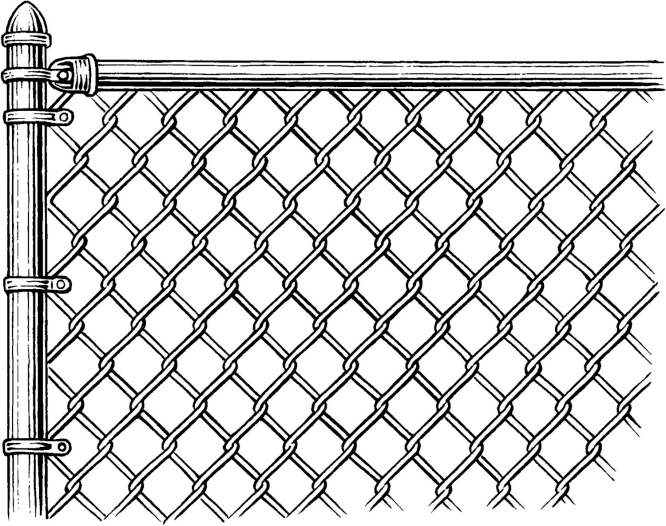 To make your chain link fence look brand new, all you need is some soap and water or a garden hose. Once your fence is installed, you can easily keep it looking brand new for years without the headache of constant seasonal maintenance. Hercules Fence has been providing homeowners with quality fences for over 50 years. We are well equipped to meet your needs, whether they are residential or commercial. Contact us to see how a chain link fence can protect your property by giving us a call at 703-551-2609 or visiting us online. To see examples of our work, follow us on Facebook, Twitter, Google+, LinkedIn, Pinterest, and Flickr. This entry was posted on Friday, June 17th, 2016 at 2:23 pm. Both comments and pings are currently closed.